With wireless clients outpacing wired workstations, wireless networks are becoming a real pain for network engineers and administrators. The problem is even bigger if we then look at enterprise environments like higher education, retail, and healthcare. In these sectors, the percentage of wireless users can top 80% of all users, so performance degradation can have a serious impact on business and mission critical operations. 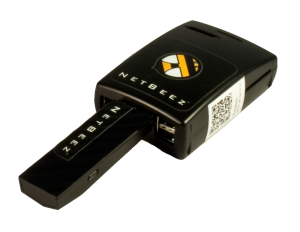 First as a network engineer and now as cofounder of NetBeez, all too often, I have seen the “wireless performance” issue happening without a real comprehensive solution. So we decided to provide a solution to this problem. Wireless controllers and other monitoring systems that pull data from access points are indeed necessary, but not sufficient. Engineers need real-time metrics like signal strength, noise level, and TX/RX traffic from both the wireless infrastructure perspective and the client’s perspective. 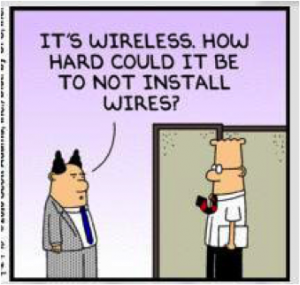 I would answer this question with another question: How many site surveys do you do on a monthly basis to troubleshoot wireless performance issues? If you’ve never had to walk around with a laptop to take measurements of your wireless network, then you should stop reading this post right now. 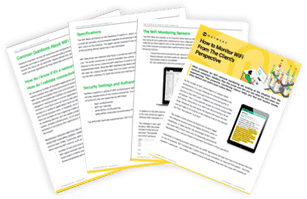 If, on the other hand, you do monthly or weekly site surveys to assess the wireless performance of your network, then you are familiar with some of the following use cases. A change, update, or tuning of the transmit power adjustment algorithm can have unpredictable repercussions on wireless clients. Having permanent wireless monitoring agents that collect and store wireless metrics for real-time performance degradation detection or historical analysis can improve the management of large wireless infrastructures. Benefit of wireless agents: Review wireless clients’ performance to select the best transmit power adjustment algorithm. Another use case that we frequently hear about from customers in higher education is related to increased demand of wireless resources during hot periods like midterms and finals. Students tend to congregate in high density areas such as libraries and cafeterias, and oftentimes they have with them up to three wireless clients (e.g. smartphone, laptop, and tablet). Without data, predicting such demand is very difficult without doing site surveys almost every day. Benefit of wireless agents: Record wireless performance 24/7, 365 days per year, so you’re prepared to add wireless capacity when and where it’s needed. An 802.11 infrastructure is a complex system where multiple elements (e.g. access points, wireless controllers, LWAPP tunnels, routers, switches, RADIUS and DHCP servers) are configured with the purpose of providing wireless connectivity to the users. As a result, when performing a configuration or maintenance change, many things can go wrong and the best way to validate the change is testing yourself laptop that network is available. However, this is a fairly impossible to do when you have hundreds of network location that could be potentially affected by the change. Dedicated wireless agents at each location can automate this task and sensibly decrease the time and effort needed to perform such tasks. Benefit of wireless agents: Decreased time and costs during validation of configuration changes. So what’s the NetBeez solution to this problem? On February 12th, we presented and announced at Networking Field Day 9 a new member of the family, the wireless BEEZ, which is a monitoring agent equipped with dual-mode 802.11a/b/g/n cards. It can run all the same tests of the wired BEEZ (e.g. PING, DNS, HTTP, Traceroute and Iperf). The agent can connect to wireless enterprise environments with WEP, WPA/WPA2, and EAP methods. The wireless BEEZ can also provide an ad-hoc list of available SSIDs and related metrics, transmitted by adjacent access points. Of course, we’ve already received lots of suggestions and feature requests. And what about you? … What would you like to see?